The 2018 UN Day will take place at a very special time! and in Dublin we will mark the 10th anniversary of the unveiling of the Human Rights and Poverty Stone. All these occasions can inspire us to live the legacy of these social justice leaders or calls to humanity. 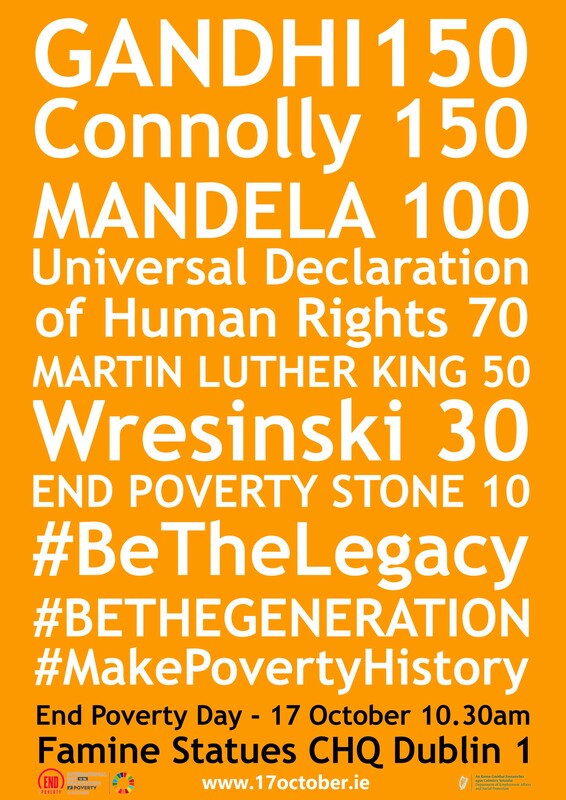 Time is now to be the generation that will make poverty history! This is the message of this poster! You can download the poster in PDF here! ← Famine Memorial and End Poverty Stone: New York and Dublin Together!